Ray Fisman holds the Slater Family chair in Behavioral Economics at Boston University. Previously, he was the Lambert Family Professor of Social Enterprise and co-director of the Social Enterprise Program at Columbia University's business school. 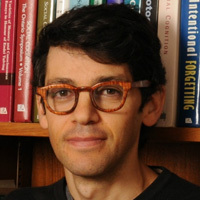 Professor Fisman's research – much of it focussed on global corruption – has been published in leading economics journals including the American Economic Review, Journal of Political Economy, and Quarterly Journal of Economics; his work has been widely covered in the popular press, in such outlets as the New York Times, Wall Street Journal, Financial Times, the Economist, and the Washington Post. His most recent book, Corruption: What Everyone Needs to Know (with political scientist Miriam Golden), was published by Oxford University Press in 2017.